The Nigerian Army has denied the reports that some soldiers and military vehicles are missing after a Boko Haram attack on the troops during an operation in Borno State. Over the weekend, reports in the media (not Channels Television) said that at least 23 Nigerian soldiers were missing following an ambush by Boko Haram insurgents on a military convoy at Boboshe Village in Bama Local Government Area of Borno State with eight military trucks crated away. The military spokesperson disclosed that there was an attempted attack on troops in Bama area of Borno State by suspected Boko Haram terrorists due to the bad roads where some military vehicles were stuck. He said the terrorists were successfully repelled and some arrested. “There was an attempted attack on troops at Kwakwa and Chingori communities in Bama area of Borno State by suspected Boko Haram Terrorists as a result of difficult terrain where our vehicles bugged down. “The terrorists also attempted to cart away troops operational vehicles but were successfully repelled by our gallant troops with the support of the Nigerian Air Force. 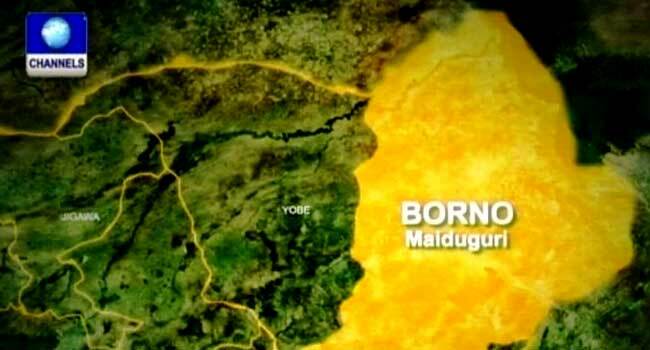 “About 22 members of Boko Haram terrorists were neutralised while several others escaped with gunshot wounds. Efforts are being intensified by the troops to get the fleeing members of the Boko Haram terrorists,” he said. Chukwu, however, added that one officer and a soldier sustained injuries during the attack and they are currently receiving medical attention at the military medical facility. The theatre commander of Operation Lafiya Dole, Major General Nicholas Rogers earlier on Monday also dismissed the report of the missing soldiers. He told Channels Television correspondent in Borno State that there was no such incident in Boboshe but rather that troops only carried out operations along Kwakwa and Bula Naglin areas, also in Borno State.